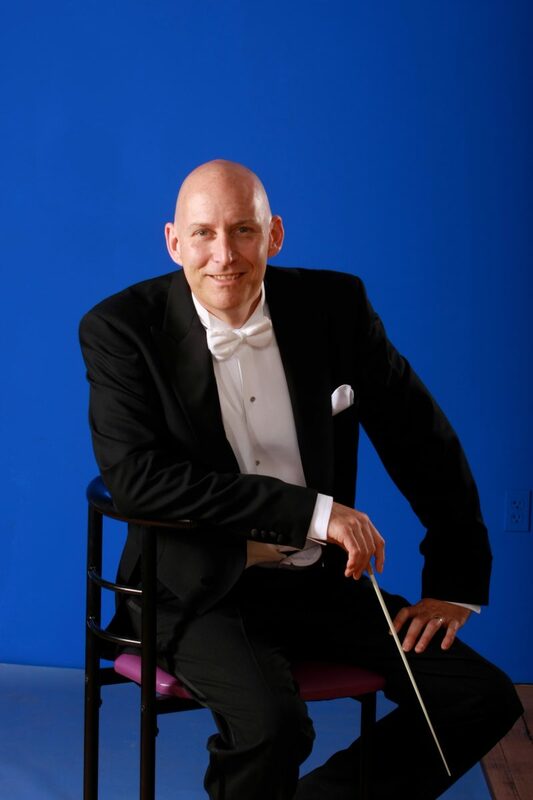 WESTFIELD – I managed to grab a late summer lunch with Springfield Symphony Orchestra Music Director Kevin Rhodes, who was “back home” after a summer spent conducting at The Paris Opera. Rhodes, who calls Westfield home, has a couple of weeks downtime prepping for upcoming concerts in Santa Fe (where he conducts the Santa Fe Symphony’s season opener on September 14) The Traverse Symphony in Michigan (where he’s also Music Director) on September 21, and The Springfield Symphony’s opening concert on September 27. For those people counting, that’s 11 pieces of music to learn in detail in short time. He also conducts the Pro Arte Chamber Orchestra in Boston (their season begins on October 11). Onstage, Rhodes is a dynamic conductor. He moves to the rhythms of the music; he engages the audience in patter before and between pieces of music, and he has an exuberant presence. Occasionally, he plays piano with the orchestra, and he gets totally into the music. Offstage, smartly, yet casually dressed, he blends in with the lunch crowd. I assumed that at the popular restaurant we lunched at, that he’d be noticed. No stares. He’s completely down to earth, totally unassuming, and just “one of the guys”. Rhodes has led a varied career conducting concerts, opera, and ballet around the globe on a schedule that’s jam-packed. Before arriving in Springfield in 2001, he’d been living in Europe, conducting in 15 different countries with approximately 50 different orchestras. His credits include The Paris Opera, Vienna State Opera, Berlin State Opera, La Scala (Milan), The Dutch National Ballet, Stuttgart Ballet, and last year’s “The Nutcracker” with New York City Ballet at Lincoln Center. Why would such a globetrotter choose Westfield? Rhodes couldn’t compute the number of airline frequent flyer miles he’s racked up of late, but he cashes them in for a ticket, so Jane can accompany him full-time. “She keeps me organized”, says Rhodes. “She researches apartments for our stays in Europe–a task made much easier thanks to the Internet. She keeps me on track”. He travels light, likes those suitcases that have rollers and swivels, and thinks Logan is a pretty convenient way to fly abroad. Rhodes will be travelling a lot this season… in addition to his Springfield, Michigan and Boston commitments, he’ll be conducting “The Nutcracker” with The Paris Opera Ballet at The Bastille in November and December; “Swan Lake” in Paris in March and April; and “La Sylphide” and The Nureyev Gala at The Vienna State Opera Ballet in May. The pressure is on; he gets limited rehearsals before each performance run. Away from the theatre, Rhodes likes 50s and 60s Vegas lounge music. Rhodes likes being part of the community. In western Massachusetts, Rhodes has collaborated with Bay Path University, Westfield State University, Springfield Technical Community College, The Community Music School of Springfield, The Academy of Music in Northampton, Amherst College and many other educational institutions, in addition to the school systems of many area cities including Springfield, Longmeadow, West Springfield and Westfield. But, he and his wife Jane like the quiet, and they don’t go out all that much. “People sometimes look at me as though they know me from somewhere, but I find that I can just be myself here”, said Rhodes, who has been visible away from Symphony Hall as host of the local PBS series Together in Song and guest host on WWLP-TV22’s Mass Appeal. “But, I really think of western Massachusetts as home, despite living in rental apartments in Paris and Vienna for up to 6 months a year”. Rhodes began his professional conducting career at the age of 16 in his hometown of Evansville, Indiana. He received his B.M. in Piano Performance from Michigan State University, and earned his M.M. in Orchestral Conducting at the University of Illinois. And then, the travels abroad began. Rhodes just signed a new three-year contract with the Springfield Symphony Orchestra, so you don’t have to fly to Paris or Vienna to catch one of his performances. He conducts the opening of the Springfield Symphony season on Saturday, September 27. Opening night showcases the members of the orchestra in three highly vivid works, Ravel’s “Bolero”, Debussy’s “La Mer”, and Mussorgsky’s “Pictures at an Exhibition”. The Northern Express, a newspaper in Michigan, just named Kevin Rhodes as one of Michigan’s “20 Fascinating People of 2014”. They revealed that Rhodes has an ongoing fascination with all things Star Trek. He’d mentioned that to me with a sparkle in his eye. For a guy who bounces from Westfield to Michigan to Springfield to Europe, time travel could become a Meastro’s best friend. For information on the Springfield Symphony Orchestra’s upcoming season at Springfield Symphony Hall, call 413-733-2291 or visit www.springfieldsymphony.org.